THE RVD model is the latest addition to the new range of rotating vane anemometers from Alnor Instruments. It can measure and data log air velocity, volume and temperature in metric or imperial units. Features include a large digital display and a standard 102mm vane head, that can be interchanged with an optional 50mm vane head. 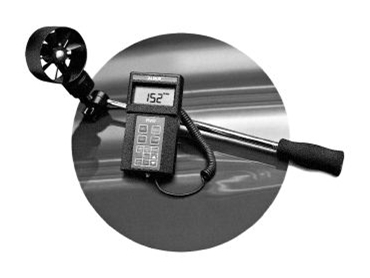 The RVD accurately measures air velocity from as low as 0.25m/s up to 30m/s. Flowcal Scientific 02 9540 4626.